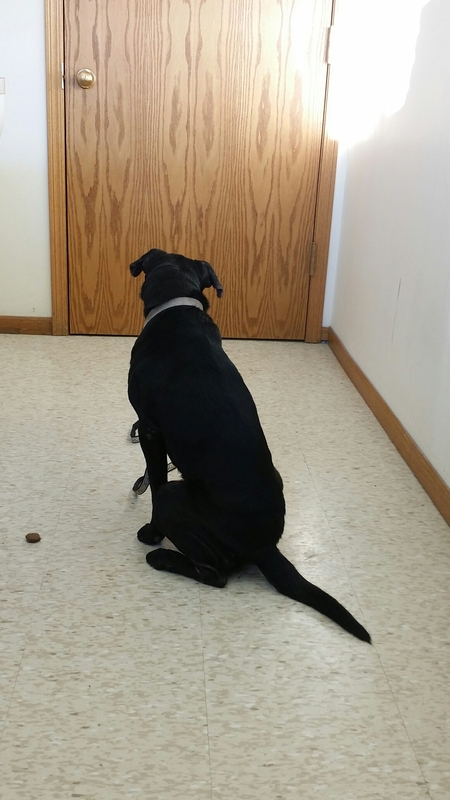 We go to a wonderful vet clinic when needed, but Puppers doesn’t necessarily enjoy the visits. Normally, the dogs go only when something is wrong as they’re all healthy and happy; Puppers just gets so nervous when she goes in. 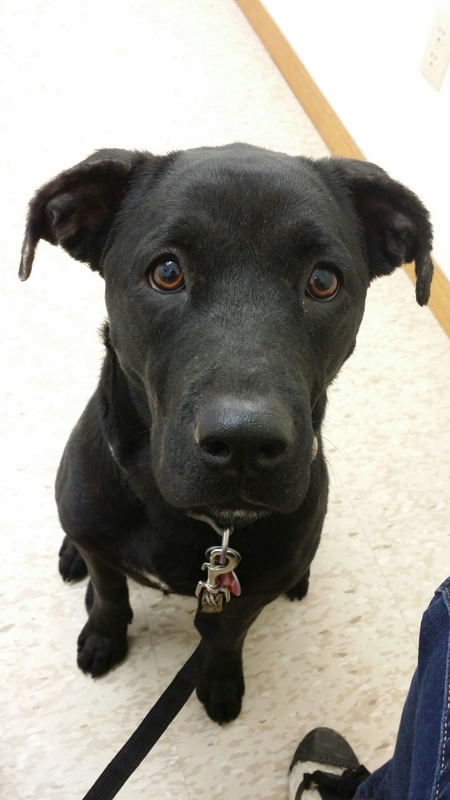 When we got to the vet this morning, she sat in the exam room and drooled because she was so nervous. Her ears were back, flat against her head, and she stayed right by my side. I brought her because she is losing hair and has some bare spots. It was concerning me because I help the pound with fostering puppies (although it’s been a while since I’ve had any), and the last litter I fostered had mange. I was worried that somehow it had lived in the ground and maybe she’d picked it up. She wanted nothing to do with the treats the vet and vet tech offered her. Eventually she relaxed a little. The vet gave her the once over, and they did a skin scraping to check for the creepy crawly critters that cause mange. 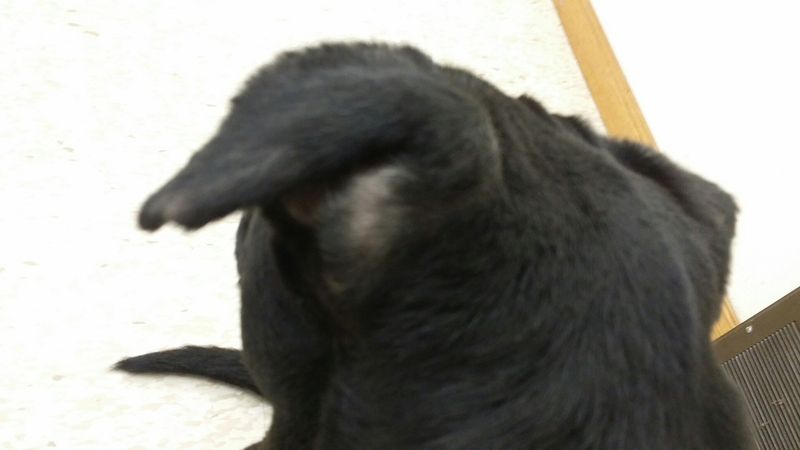 The verdict: ear mites and Lyme Disease exposure. 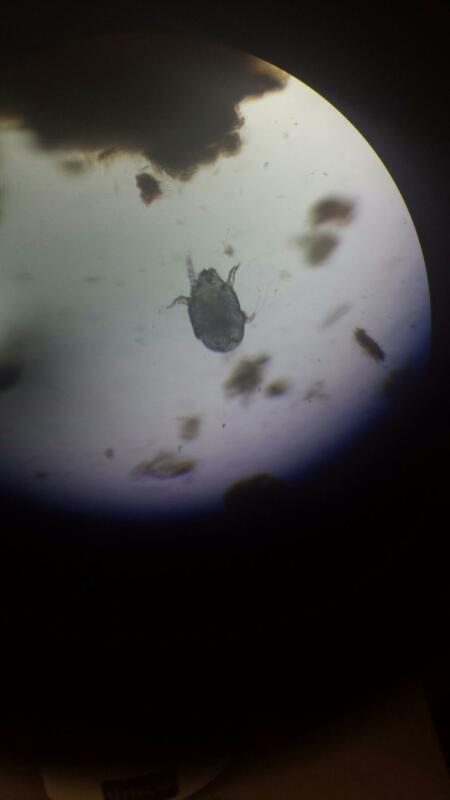 These are the ear mites from her ears under a microscope! Ewww! Neither are contagious to us (from her – it does mean Lyme is being carried by ticks around here though which we already knew). 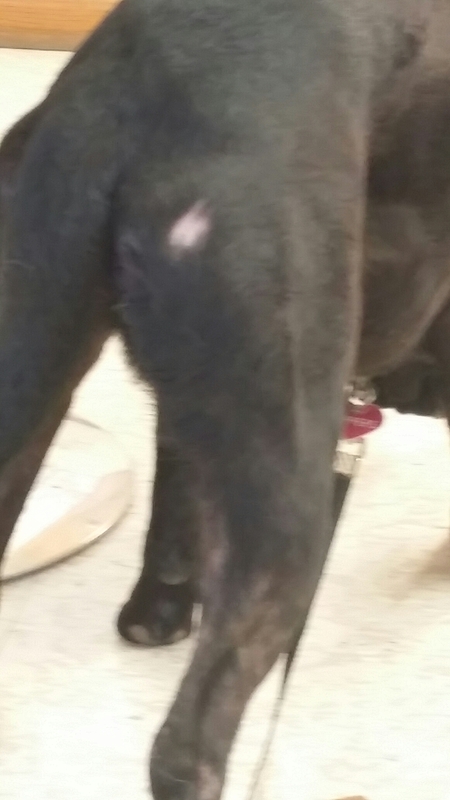 She has ear drops, Advantage Multi (which studies have shown combat ear mites as well), and a steroid for the inflammation (which causes her scratching which causes the hair loss). Poor baby. I KNEW something was wrong – I just didn’t imagine this!